I love taking some time for reflection at the end of each year, so today we're taking a look back at the content from 2018 related to planners and home life! 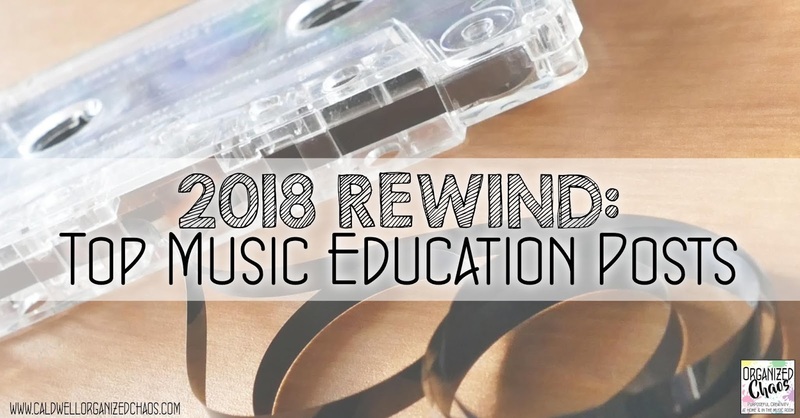 If you missed last week's "rewind" post on music education content, be sure to catch up on that one right here. 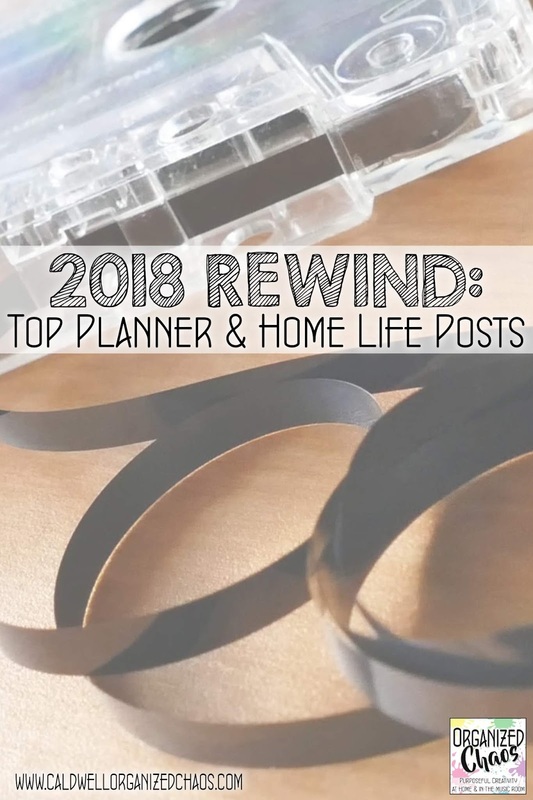 But life outside of the classroom is just as important to talk about as our work lives, so let's take some time to focus on all things planners and home life! 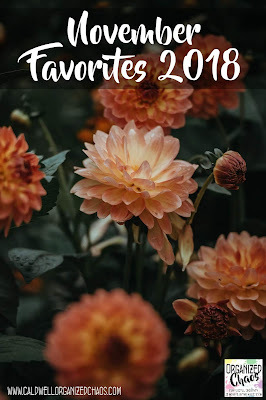 I hope you find some fresh inspiration to get you motivated for 2019. 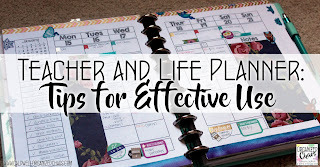 When it comes to planners I have so much to say that the little tips and tricks I pick up tend to get forgotten. 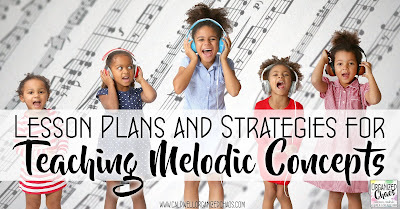 That's why this series was so much fun: lots of little tips that have made my planning more efficient, fun, and/or effective! 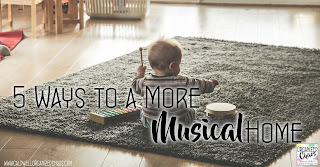 Some of my favorite parenting-related posts this year were related to the role of music at home! My daughters started taking instrument lessons in 2018, so that added a new dimension to music at home for us this year. 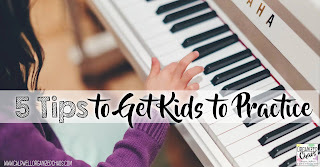 These are ideas I still turn to regularly- if you are a parent of young children these are definitely worth the read! 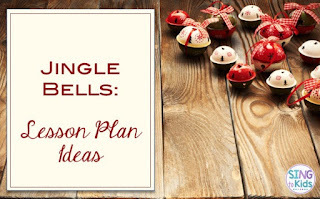 Planners have been one of my most frequent topics since I started this website in 2014, and it was high time I gathered those ideas into a central location! 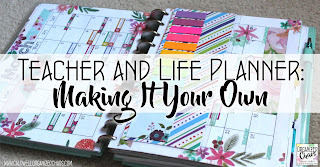 This past spring I shared two posts rounding up my top planner idea posts: one on setting up the planner itself, and one on using the planner. These are the best starting places if you're looking to revamp your planner system (whether you use the same one I do or not) or are thinking of getting started with one in the new year! 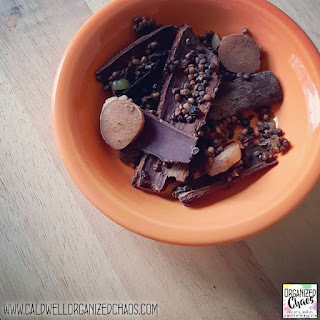 Few things have been more critical to my survival as a working mother than meal planning! 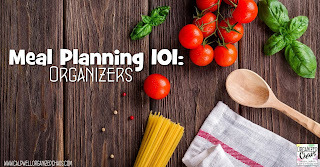 I've talked about my various systems here and there over the years, but this year I dedicated some time to specifically going through everything you need to know to get started with meal planning (or make your current meal planning more efficient)! Those are some of the highlights, but there is so much more! 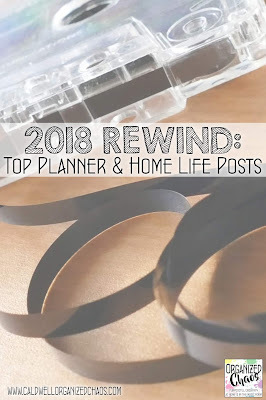 If you want to catch up on my planner or homelife posts, you can always click on the categories at the top of my webpage to scroll through all of my posts for that category! 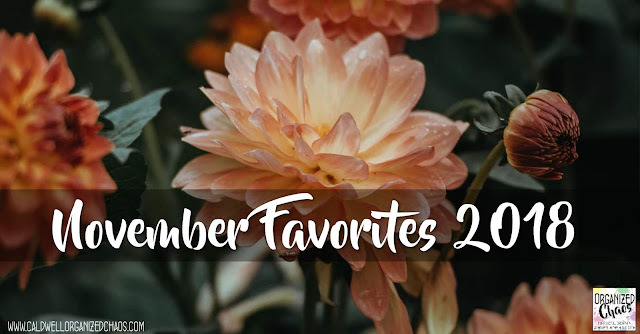 What were some of your highlights from 2018? What are you hoping to focus on in the new year? 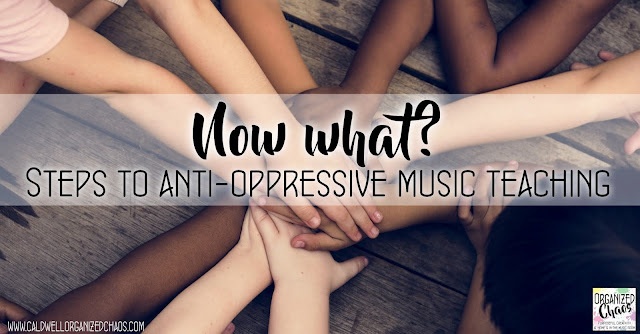 I'd love to hear your thoughts in the comments! Want to stay up to date on the latest with everything Organized Chaos? Sign up here for the Organized Chaos newsletter! Read more "2018 Rewind: Top Planner and Home Life Posts"
On this last full week of 2018, I want to stop and look back on all of the content we have covered this year on Organized Chaos. What a year it has been! 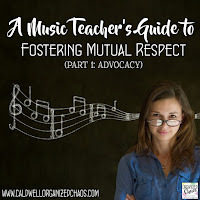 Lots of opportunities to dig deeper into improving our practice as music teachers, as well as continuing to share practical advice for those aspects of music teaching with which many of us struggle the most. If you've missed any of the highlights below, this is a great chance to catch up on some reading! And if you're curious to find out which post was the most popular this year (and enter a giveaway! ), stay tuned to the end! This was possibly the most important series I have ever written. Please, please, if you have not had the chance to read these, I hope you will take the time to do so now. I received so much excellent input from experts in each specific area. We owe it to our students to do some hard thinking about how to do better for our most marginalized students! 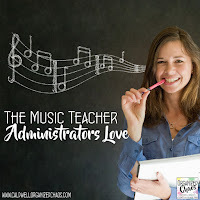 This year I also had the opportunity to do something a little new: interview administrators about issues relating to music teachers and share their insights with you in a series of posts on the job search process and advice for current teachers for improving their relationships with administration. 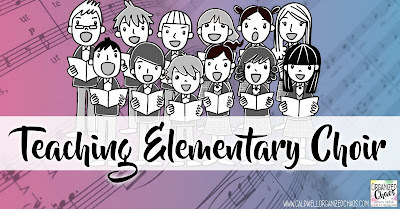 From favorite warm-ups to rehearsal procedures, concert organization and lesson planning, these posts on elementary chorus teaching were among my most-read this school year! And... drumroll please.... the most-read post from this year? 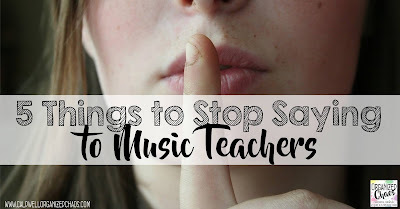 5 things to stop saying to music teachers! This one clearly resonated with a lot of people. It can be so frustrating to hear these ignorant comments from others, but it's nice to know that I'm not the only one who hears these disrespectful remarks regularly, and I'm genuinely hopeful that people outside our field will learn from this post- I truly think they usually have no idea that what they're saying is offensive, and/or have no idea what our jobs are actually like! Want to make sure you don't miss out on new content next year? 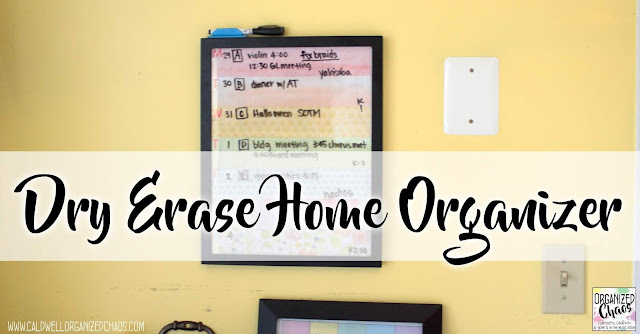 Get updates, lesson ideas, and other timely content sent straight to your inbox by signing up here for the Organized Chaos newsletter! Read more "2018 Rewind: Top Music Education Posts"
I'm going to go ahead and claim it: I am the master of freeze dance in the classroom. 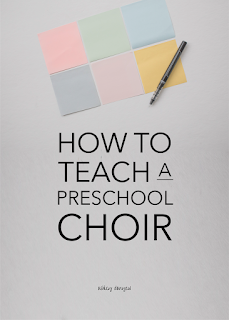 After running the game with my students from preschool through 9th grade over many years of teaching, I have figured out what rules and procedures help the game run most smoothly and keep everyone having the most fun. 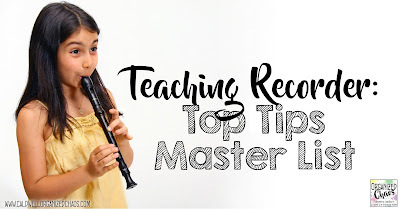 Ready to learn all the tricks of the trade? When the music is playing you dance. When the music stops you freeze. The last one moving is out of the game and must go to a designated area. Throughout the game, whether the music is on or off, whether you are out or still playing, your voice must be off. It's not fair if someone else can't hear the music stopping because of your noise. For your movement to count as "dancing" you must move your feet and only your feet may touch the floor. Otherwise it's too easy to stop and start. You cannot touch any other person or thing, and you must stay in your spot- you cannot move around the room while you are dancing. It's not safe. If you forget any of the rules above, you will be out in addition to whomever is the last to stop moving- there can be multiple people out in one round. I am the Almighty Judge. You may not argue with the Almighty Judge, and you may not attempt to become a judge yourself. Any attempts to usurp or argue with Almighty Judge will result in banishment. Once the rules are established the rest is a matter of holding students to those rules. I have found the best way to see a room full of dancing children simultaneously is to look at the middle of the room and pay attention to my peripheral vision. Make sure to position yourself in a place where you can control the music and see every player at the same time. I don't tell them in advance, but the first round is always a "practice round". I keep track of everyone who is breaking the rules- usually the shy kids who aren't moving, and the excited ones who are talking or laughing- and when I stop the music the first time I call out all the people who would have been out if it was the real deal. I tell them this is their warning and then remind them that from now on, if I call their name, they are out. I make the first *actual* round of dancing the longest- I don't want the first person to be out after just a few seconds! And the second round is always the shortest, so that the first person isn't out on their own for very long. The rest of the rounds I keep relatively short, but varying the length of course. After the first few rounds, if the students aren't too rowdy, I actually encourage those that are out to dance silently in their seats while they watch. 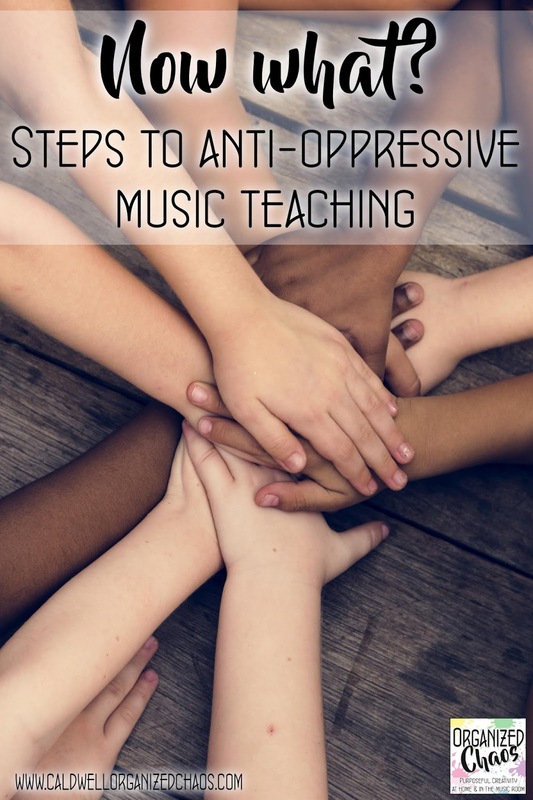 It allows them to continue enjoying the music instead of feeling like they're missing out. It's important to keep them seated though, so you don't get confused while you're judging! 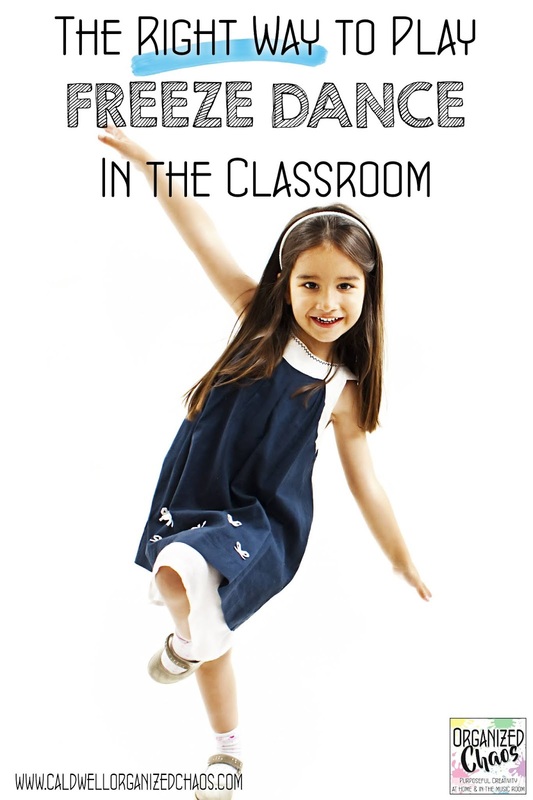 There are always a handful of students who figure out ways to "dance" with the least movement possible. I allow anything (as long as they're moving their feet) for the first few rounds, but after that I'll start pressuring them into changing up their moves by telling them not to be "boring". If they continue to barely move, I'll sometimes tell them that if they don't start moving more I'll decide they're out. I keep a CD with lots of upbeat dance songs (find some of my favorites here) in my sound system at all times for this purpose. 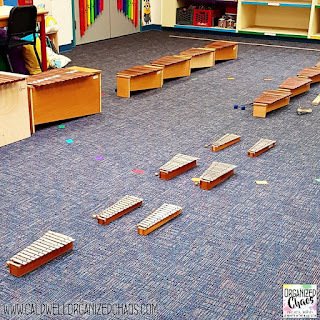 I like to change the song each round rather than playing and pausing the same one over and over- different students are more comfortable dancing with different types of music so I try to include a variety. 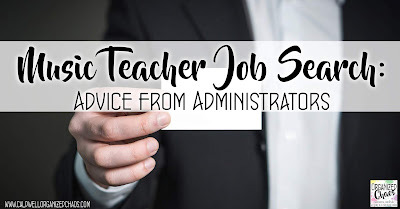 I model "laughing it off" for students- if they lose their balance I will wink at them, sigh, or otherwise try to make light of the situation in a fun way, like "oops, guess that just happened" as I call their name. I find that helps, especially for those that tend to have trouble with losing, to "save face" in front of their peers. 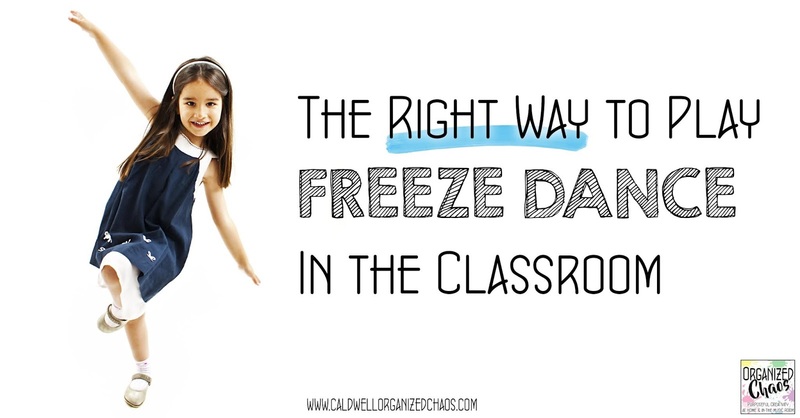 Now that you know all of my top-secret strategies for running Freeze Dance successfully in the classroom, it's time to get dancing! 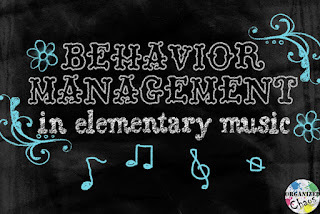 Be sure to check out the link above for some modern, upbeat music you can use in class for games like this. Want more timely and relevant ideas like this sent straight to your inbox? Sign up here for the Organized Chaos newsletter! Read more "The Right Way to Play Freeze Dance in the Classroom"
I love using a "reward day" or "music choice day" as an incentive for whole class behavior management, and I know many other general music teachers do as well. 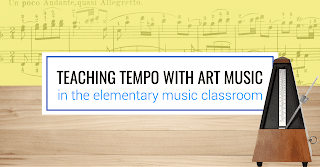 It's a great way to keep class time meaningful while taking some time to explore the joys of music-making without the pressure of a traditional lesson format, and it gives students some agency in what they do in class. That said, there are few things worse than a party that descends into bedlam or just flops. Here is how I make sure things run smoothly and keep it fun. I think it's important to give students the opportunity to help choose what they would most like to do to make it fun for the most number of people. Often they surprise me by picking "meaty" activities from previous lessons, and it always gives me a chance to see what my students are interested in and what form of musicking they most enjoy (which is valuable information for planning my future lessons)! The way I do this is by having the class come up with a list of ideas and then vote on their favorite. The suggestions have to be music-related and something we can do right then without preparation (I do the voting the same day as the reward day). Each student is only allowed to vote once (makes it easier to count votes), and I have them close their eyes while they are voting (so nobody is swayed by the opinions of their peers, and so that I can secretly veto things I know are bad ideas... ssshhhhhh...). 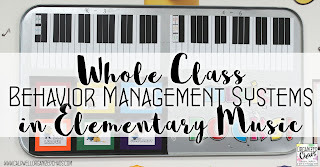 Now that my classes have done this before they have no problem coming up with ideas, but when I come into a new school and do this for the first time there are always some classes that struggle to come up with ideas for things to do. It's a good idea to have a few ideas in mind to get them going in case this happens (see my list below for some favorites!). 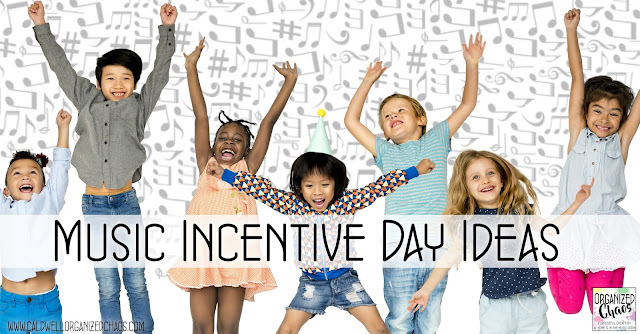 It may seem counter-intuitive but in many ways I hold students to a higher behavioral standard during reward days- I call them "parties" to my students and I always explain that parties are for fun, and it's not fun unless it's fun for everyone. If anyone is being a poor sport, talking over someone, or ignoring the rules of the game etc, they sit out. Nobody is allowed to ruin our fun. I also don't allow students to sit out and sulk because their top choice wasn't selected- I remind them that this was what the majority selected and so this is what the most people think is fun. If they are complaining about that choice they are being negative about something many of their peers think is awesome, and that's rude. 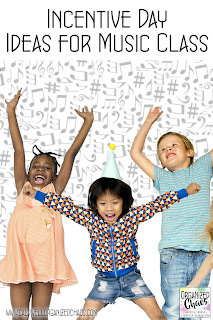 I try to give them options if they are reluctant because they are shy (like telling them to just tap their foot if they are not wanting to dance, etc) but I always encourage them to find a way to enjoy the activity with the rest of the class no matter what. After doing these for over a decade I have seen which activities tend to work and which ones don't. 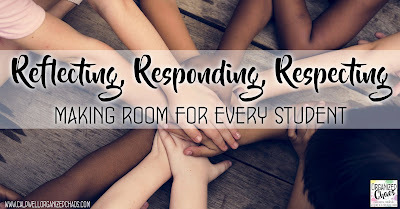 When students are sharing ideas, I'm usually very honest with them about things I know will go well and any reservations I have about other ideas to try to guide them. 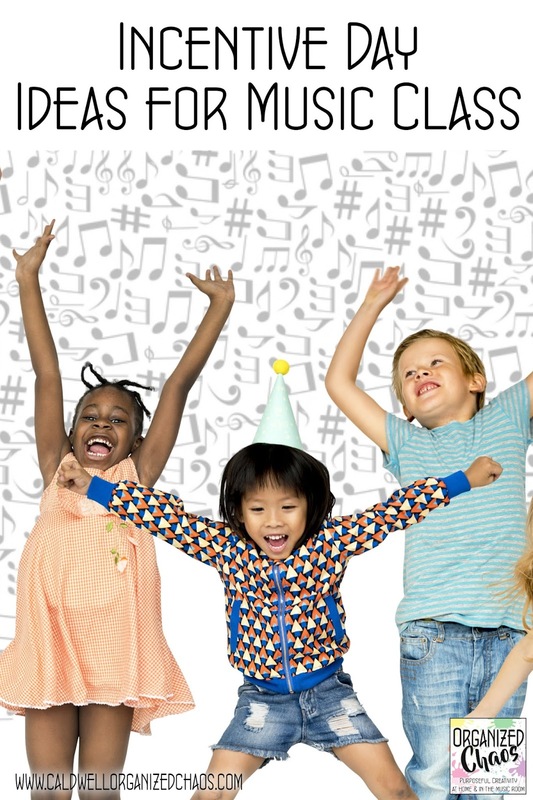 Here are some of my students' favorite "music party" activities that I find go the most smoothly, and tend to be most widely-enjoyed. There's one that I definitely do NOT recommend, and that's musical chairs. At my current school it actually doesn't get requested very often, but at my last school I used to hear this request a lot and I have never found it to work well in the class setting because 1) it takes a lot of time just to set up the chairs, 2) people can get hurt from sitting on each other or pushing each other out of chairs, 3) I find it harder than freeze dance to judge fairly, and 4) for whatever reason, someone always ends up getting upset. Every now and then a class will overwhelmingly vote for it despite my warnings and I'll let them try it, and I regret it every time (and they agree with my opinion afterwards). 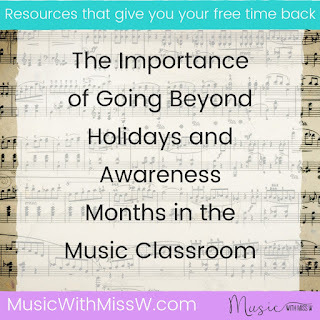 Want to get more timely and relevant content sent straight to your inbox along with exclusive access to monthly lesson outlines? Sign up here for the Organized Chaos newsletter! Read more "Music Incentive Day Ideas"
I have always told myself that organization systems only work until they don't, and that I should never become so attached to one system that I continue using it when my organizational needs have changed and my system is no longer the best way to address those needs. I realized a month or so ago that my old command center (which was perfect for me for many years) was no longer serving my needs, so I updated my system to something much more streamlined and centralized. Here's what I am using now (and loving so far)! I think the main change has been that, as my daughters have gotten older, I have gained more experience in this mothering/ household managing business, and the girls have busier schedules but are also more independent. I can whip up breakfasts and packed lunches without quite as much prompting as I used to, but coordinating each of our different schedules and making sure I'm not double or triple-booking myself has become more challenging. 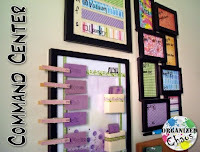 My new "command center" is actually just one bigger, centralized place to track schedules (and note my meal plans). Because it's all in one board (instead of smaller boards for each day like I was using before), I can note events that go over multiple days more easily too, and I have more space for each day to write all of our different crazy schedules to make sure I'm keeping track of everything in one place. 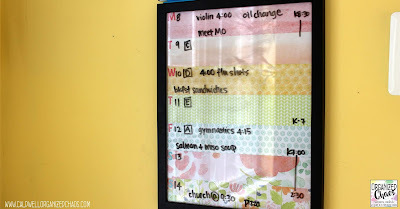 All I did to create this was cut out strips of different scrapbook paper and stick them to the piece of paper that came inside the original frame with double sided tape, then added stickers to mark the days of the week. 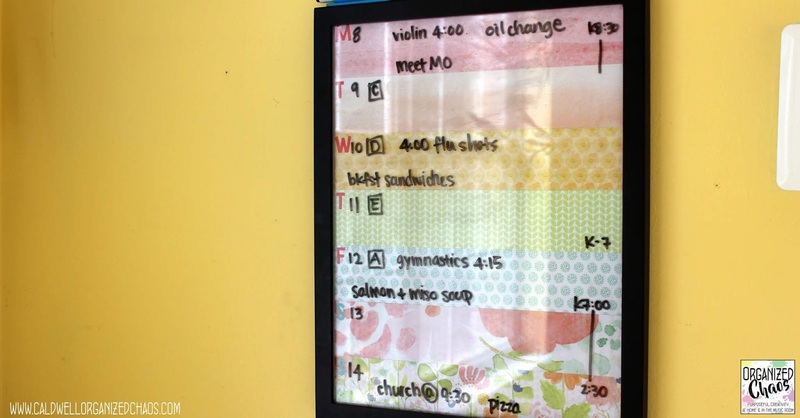 I actually re-used the frame I had used for my dinner meal planner for this, and I already had the stickers and paper on hand, so I spent no money at all to make it- yay for free projects! 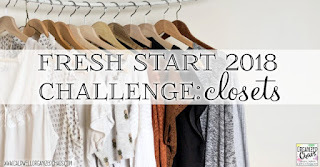 I hope you find new inspiration to rethink your home organization systems as you look forward to the new year! Want more timely and relevant content sent straight to your inbox? Sign up here for the Organized Chaos newsletter! 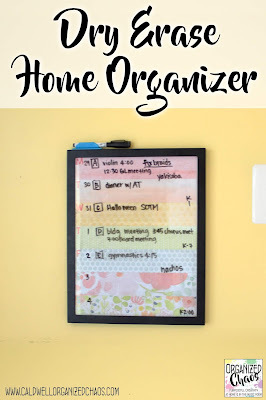 Read more "Dry Erase Home Organizer"
Read more "Now What? Steps to Anti-Oppressive Music Teaching"
Read more "November Favorites 2018"